← Pizza the action. Or not. This evening I had to rush home from work – well, as much as one can rush when at the mercy of the London bus – and write up a wine feature I’ve been working on for the past fortnight, so, although this week hasn’t given me much chance to cook, I saw a chance to rectify the situation. Thus, ladies and gentlemen, I present to you the contents of the fridge, on toast. Behold! 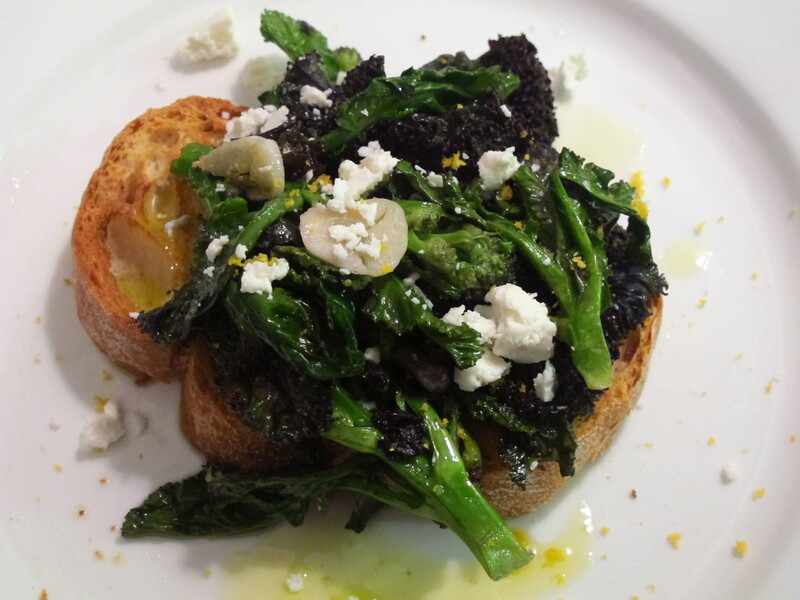 Yes, it’s steamed kale and purple sprouting broccoli, lightly sauteed with garlic, sprinkled with lemon zest and goat’s feta, and doused liberally in olive oil, then dumped on to some elderly sourdough and consumed at an indigestible pace while flicking through G2 and complaining to my flatmate about how much work I had to do. And then logging on to Facebook.